“Rutgers University officials said Monday a new framework is in place for the university to keep its campus in Camden rather than see it folded into another state university under a plan backed by Gov. Chris Christie. “Rutgers-Camden Chancellor Wendell Pritchett said in a statement Monday that the plan would give his campus more administrative and budgetary autonomy from Rutgers’ main campus in New Brunswick. The school also would ‘engage in a deep and meaningful partnership with Rowan University,’ Pritchett said. 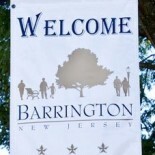 This entry was posted on May 15, 2012 by Barrington Bulletin in Region.